Inflatable Pub Global, an Irish-based company, have been shipping Inflatable Pubs worldwide for the past four years. One of our pubs caught the attention of the Chicago St. Patrick’s Day Committee and we were asked to make a bespoke unit for 2017 Chicago St. Patrick’s Day Parade which was used as the Official VIP Tent and the pub was seen by millions at the parade and on live TV, Online and Social media coverage. 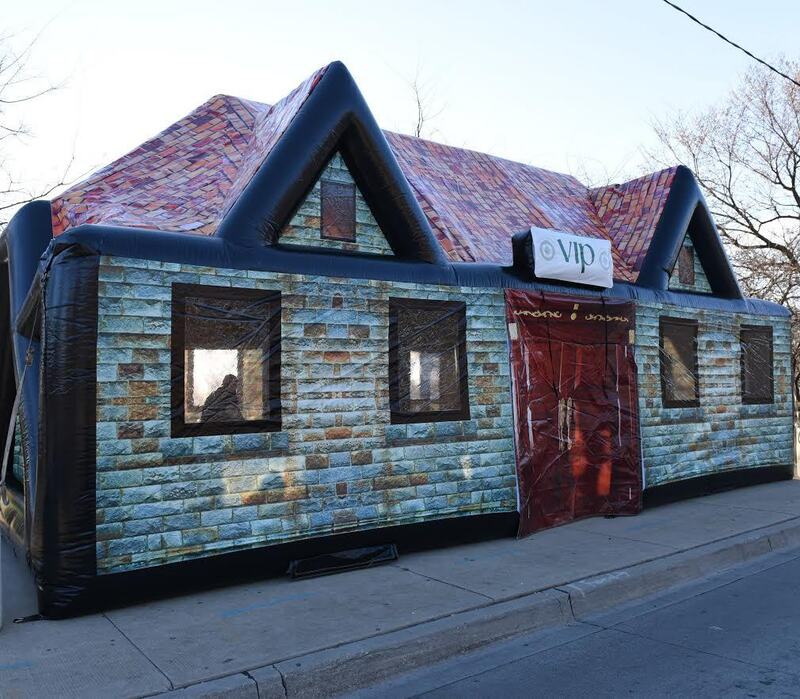 Inflatable.Pub was told by Patrick McCarthy of the Chicago Parade Committee that “The Pub was beyond my expectations. We loved it.” It’s not just the Irish that love our pubs – we have supplied to countries all over the world, including several bespoke units for a major celebrity wedding in L.A. that is happening in the next couple of months, so we are looking forward to seeing those photos. Lisa McMahon Winters mentions the company is looking forward to an even busier 2017 as we have lots of new designs coming, including the much anticipated Moe’s Tavern, Thatch Cottage and an exclusive range for a multinational company.